this normally happens with filezilla. we had a post from 2010 about this here. Click OK. You should now be able to connect. what is the use of red5? Well there are 2 red5’s, the open source red5 which is the one we use on our servers and red5pro, which is very expensive but still does not do what Wowza Streaming Engine does. Red5 the open source can be used for ondemand streaming which is video streaming, you upload videos (in flv or mp4 format) to a red5 server and you stream the videos using red5, it is a better experience then using just a normal server, it starts faster because you don’t have to download the all file to the viewer computer and it is difficult for users to steal the video. But and this always applies, you can stream only to flash players, and most platforms are leaving flash, specially mobiles, so what I am saying is that red5 does not work well with smartphones, be Apple or Android devices. 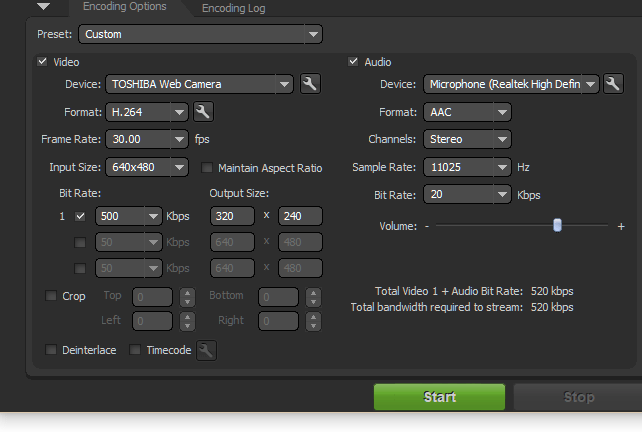 You can also use red5 to stream live events, or video chats software’s. 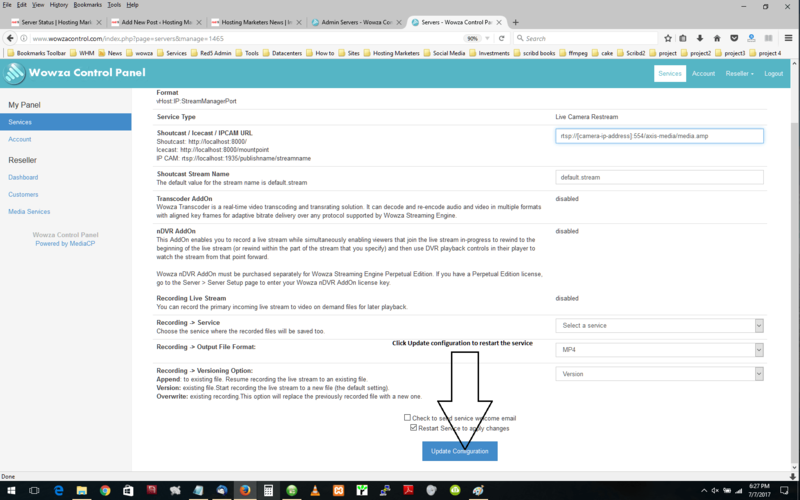 If you wish to run Python scripts in your hosting account, you can create and edit them in two ways: either in cPanel or via SSH. 3. 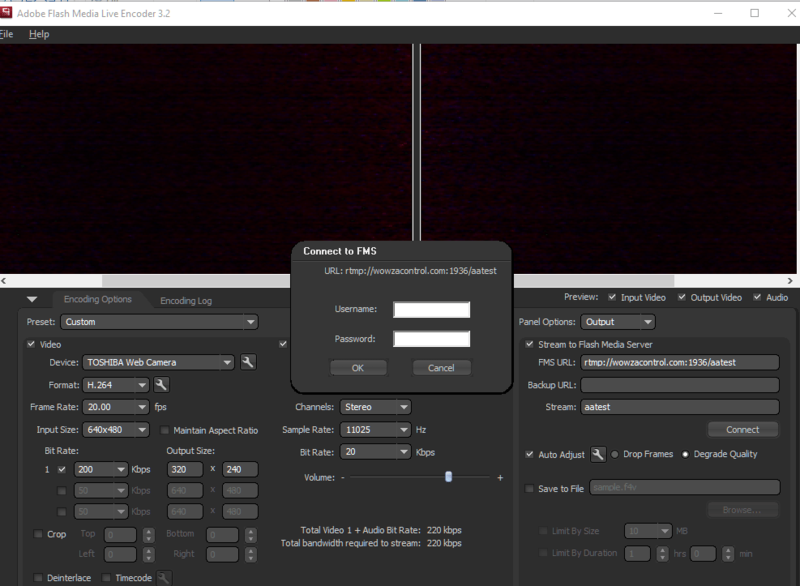 You can choose whether you want to run the script in the cgi-bin folder or outside of it. The cgi-bin folder contains executable CGI scripts. If the file should be placed out of the cgi-bin folder, .htaccess should be created additionally. Create a file with a .py extension, for example nctest.py in the /home/cPuser/public_html/cgi-bin directory (where cPuser is your actual cPanel username). NOTE: Files are created with default permissions 0644. The .py file will become executable when the permissions are changed to 0755. 8. Open the file, click Edit and add the code. NOTE: The file should start with the path to the Python scripts that is /usr/bin/python on our servers, but you can run the whereis pythoncommand via SSH to check the directory. You can download FMLE here. Or if you using a MAC computer you can download it directly from Adobe site here. click on the images to see the all picture. 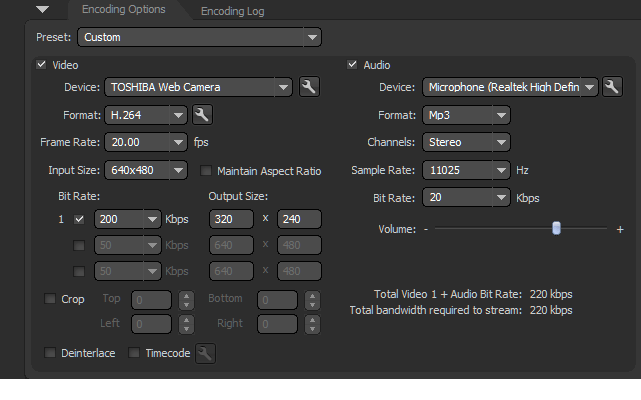 on the left you select your camera and you enter your settings, important thing is your Bitrate, if you order wowza from us you should use the bitrate allocated to your account, on the wowza control panel on service overview click configure and then limits, you will see the Maximum Bitrate for your account, you should be slightly less, if it says 480kbps try to setup the FMLE that both video and audio are below 450kbps. If you using red5 then I suggest you use something around 450kbps, anything above this number and your stream will have issues. after you click connect a little window pops up and you need to enter the username and password, username is usually the stream name, this information you can find on the wowza control panel. Red5 will not have this option of securing the RTMP. 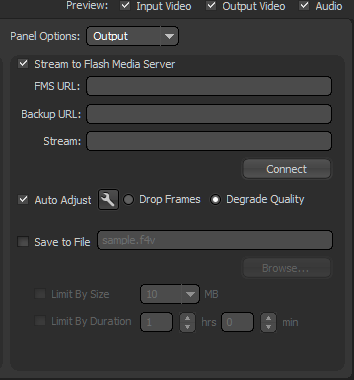 Going back to stream settings on the left, under the “Device” where you select your camera, you the Format, for wowza use always H.264, this allows to stream to desktops and mobile devices, if you using red5 you can use the VP6 option, red5 doesn’t stream to mobile devices. And then you have frame rate, start by using 20 and increase until you have a good result on both desktops and mobiles, some mobile devices will show a better stream if the frame rate is high. 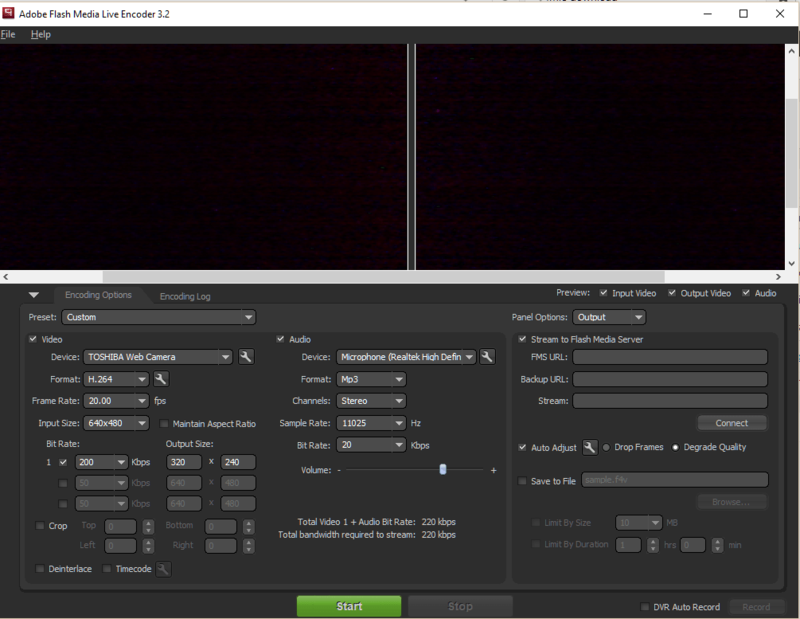 Now that both the FMLE settings and the RTMP is setup clic “start” at the bottom, your broadcast will start. The option Live Camera Restream, on our wowza control panel is used for IP cameras, the output of IP camera is normally RTSP or RTP ( example: rtsp://[camera-ip-address]:554/axis-media/media.amp ). This format RTP or RTSP is useless for players, by using our wowza server and the Live Camera Re-Stream we convert this signal for playback on all supported player technologies. Some cameras are not supported, please open a ticket and email us the rtsp or rtp for us to check if it works on our wowza servers. to enter the service overview. On the right menu, there are some links, Configure, restart, stop, and reporting. Reporting will give you information on the videos seen, traffic, connections and so on. On the top menu there are some links which provide information on how many viewers you have online which countries and bandwidth used. After restart the system will take you back to the service overview. Now click “Media Player” on the top menu grab the player code and paste it on your site.